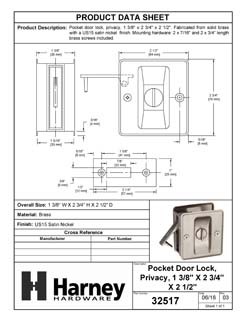 Pocket Door Lock, Privacy, Solid Brass, 2 1/2 In. X 2 3/4 In. Pocket Door Lock, Passage, Solid Brass, 2 1/2 In. X 2 3/4 In.